Zeta Phi Beta Sorority, Inc. was founded January 16, 1920, on the campus of Howard University in Washington, D.C. In the 98 years since the Sorority's inception, the community-conscious, action-oriented organization has upheld the principles of Scholarship, Service, Sisterhood, and Finer Womanhood across the globe. For the past 39 years, the Beta Iota Chapter has served to promote these qualities at Spelman College and in the Atlanta community. Five coeds - our Five Pearls - envisioned a sorority which would directly affect positive change, chart a course of action for the 1920s and beyond, raise consciousness of their people, encourage the highest standards of scholastic achievement, and foster a greater sense of unity among its members. These women believed that sorority elitism and socializing overshadowed the real mission for progressive organizations and failed to address fully the societal mores, ills, prejudices, and poverty affecting humanity in general and the black community in particular. For more Zeta history, visit zphib1920.org. Below are photos of the Beta Iota Chapter engaging locally with some of the national initiatives of Zeta Phi Beta Sorority, Incorporated. Hover over the photos to read about the programs. For the full scope of Zeta's national programs, visit the official website here. The Elder Care Initiative strives to provide education and awareness about preparing for your senior years. The African American community is least prepared when it comes to retirement, estate planning and understanding the legal and financial preparation needed to care for parents, grandparents and ultimately, for our own long term care. It is a comprehensive program that also focuses on elder abuse awareness, financial peace, supporting the caregiver and volunteering at senior care facilities. 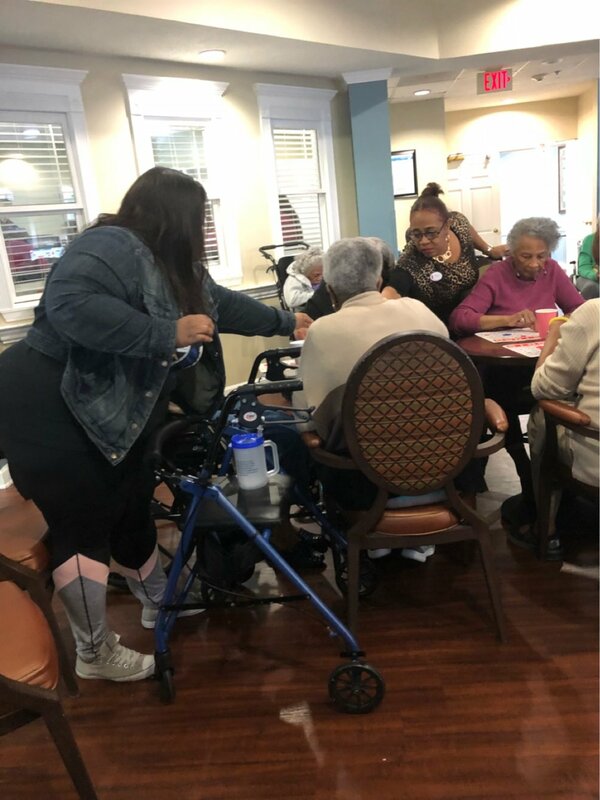 The Beta Iota Chapter serves at Arbor Terrace Assisted Living and Dementia Care on the second and fourth Saturday of each month. Zetas Have Heart - Heart disease is the number one killer of women. The most common form of heart disease is coronary artery disease which can lead to a heart attack. Instead of our hearts attacking us, we decided to attack our hearts with exercise, healthier food choices, encouragement, and lots of love. 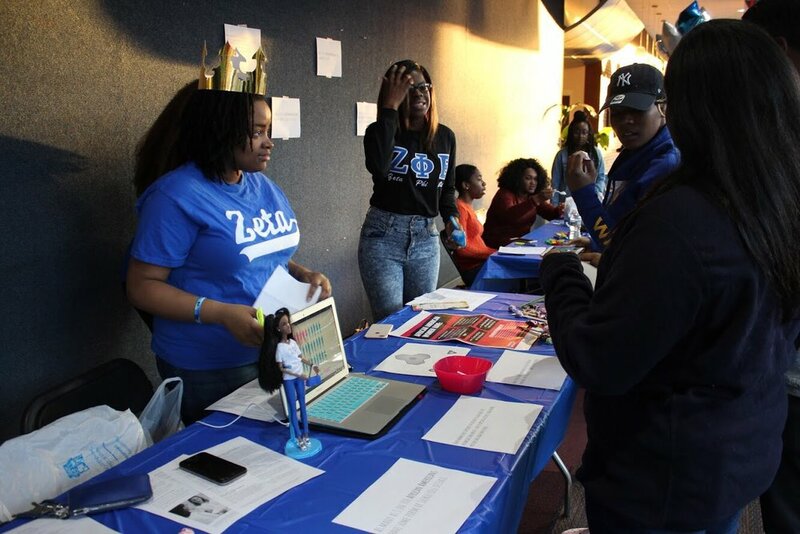 Zetas Have Heart was a 90-day journey to improve women’s health. "Zumba with the Zetas" has become a staple event for the chapter, offering a fun way to get active. Triple Negative Breast Cancer - While triple negative breast cancer can be found in any ethnicity, breast cancers found in African American women are more likely to be triple negative. This form of breast cancer is more aggressive and often labeled more difficult to treat. It has also been found to occur disproportionately in young African American women. Zeta chapters have begun adding information about triple negative breast cancer to existing projects and programs on breast cancer to build awareness and support efforts of health care professionals and organizations recommending earlier breast health testing. In Partnership with the Minority Association of Pre-Medical Students, the Beta Iota Chapter provided students information about the signs, effects, and treatment of triple negative breast cancer. Get Engaged™ is a social action program designed to address the underlying issues in our communities: drive individual and community engagement; empower citizens to get involved; and cultivate a culture of mutual respect in our communities.Get Engaged efforts have allowed our sisterhood to mobilize and find new ways to solve old problems that plague the communities we serve. In these uncertain times, we must take action. In partnership with the Young Democrats of America, the chapter participated in March to the Polls, an event purposed to encourage students and community members to be exercise their right to vote.